Ratledge, Mays and Baron want to play together. Right now, all three are UT leans. If they wait till summer to commit, as they've indicated, things could change, as we saw with last year's three amigos. That’s why I think Cooper pops soon... they are pushing him to commit... hearing anything like that? When I was at Soddy-Daisy, Coach Mullinax came to a few of our practices to help us install an overloaded set from the Wing-T. He was awesome... we called the formation Tribe etc etc.Only beat McMinn once when I was in school. Y'all did have Jajuan Smith at the time though. He definitely could have been a solid DB if he chose the football route. I think he waits till summer. It's possible he could make an emotional decision and commit earlier, especially if Baron commits, but he has a businesslike approach and his family and coaches are telling him to take his time. I think he, Ratledge and Baron will continue to take visits. Ditto Lawrence. It will be interesting to see if he pops in the next month... 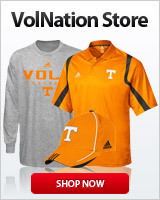 I know they are trying to get him to for Ratledge... either way I think Cooper is a Vol till he isn’t. Everyone is a vol until they isnt. Tennessee is sitting on the nation's No. 25 recruiting class at this point in the process. I also like the Vols chances for the country's No. 4 offensive tackle Tate Ratledge and could be close to forecasting that one to UT as well. is it too soon to start comparing the 18 OL class to the 19? and arguing over which one is better? Wonder if Tate pops this weekend? but you get wright and morris last year, and rogers and ratledge this year...whoa. and i realize rogers is like on the DL here...but you get the idea. Respectfully, 'pop' is starting to trigger me. We are already recruiting over Wanya and Darnell. lol...well played. this is what it must feel like to be UGA? I mean, it's early and there's not much difference between 25th and 10th, but still. Recruiting is all about momentum and landing both of these dudes would be massive, especially if it's soon.